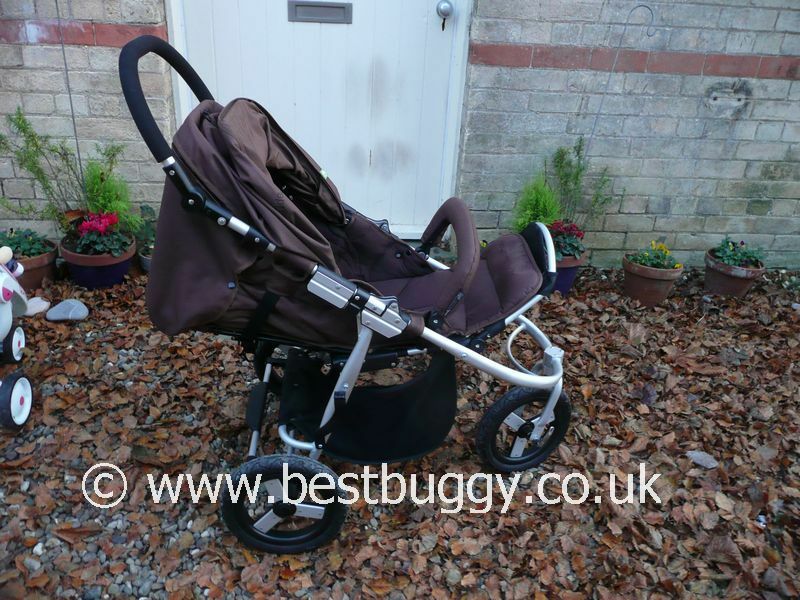 The Bumbleride Indie is a smart, neat three or four wheel pushchair. The Indie is nimble and quick about town but also handles the challenges of off road terrain well. An adjustable footrest and strap recline give infinite seating positions. Great colours & lovely fabrics. 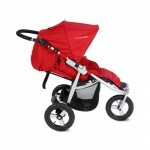 There is a carrycot and also travel system options. 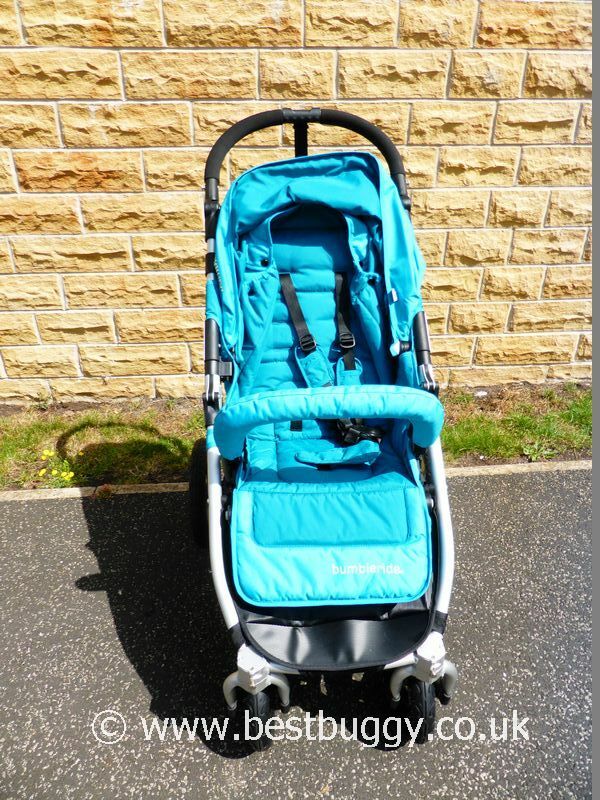 Comfortable for the child - lots of options to support a sleeping child - strap recline & adjustable leg rest. Very light and ultra manoeuverable. Great looking! Raincover, air pump & cupholder are included. Large shopping basket. Adjustable handlebar. Rear of hood zips off for ventilation in summer. All terrain air tyres. The Indie 4 freestands easily. The Indie 3 is awkward to open and close. 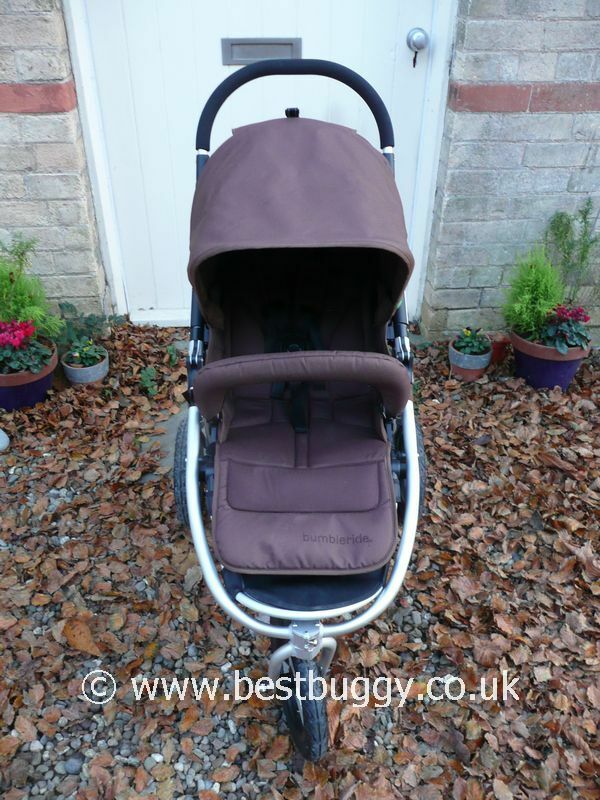 The footrest comes up whenever the pushchair is opened - and is fiddly to put back down each time. The bumper bar also needs resetting each time. The Indie 3 front wheel is not easy to pop off. Bulky when folded. The Indie 3 not easily freestand. 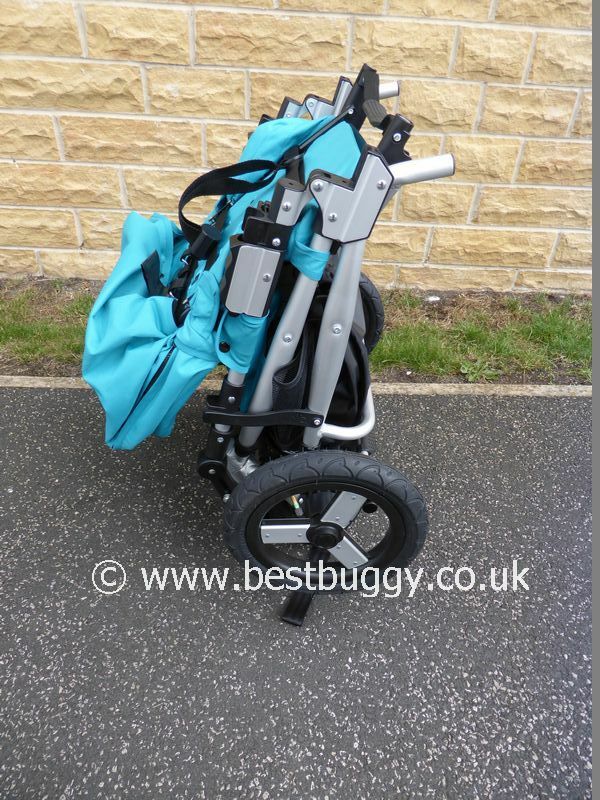 12 inch rear air tyres and 8.5 inch small front wheels on the Indie 4. The front wheels can swivel or lock on both models. The rear half of the hood zips off to allow for ventilation. The peekaboo window on the hood, is mesh. The Indie 4 has all round suspension. The Indie 3 has just rear suspension. 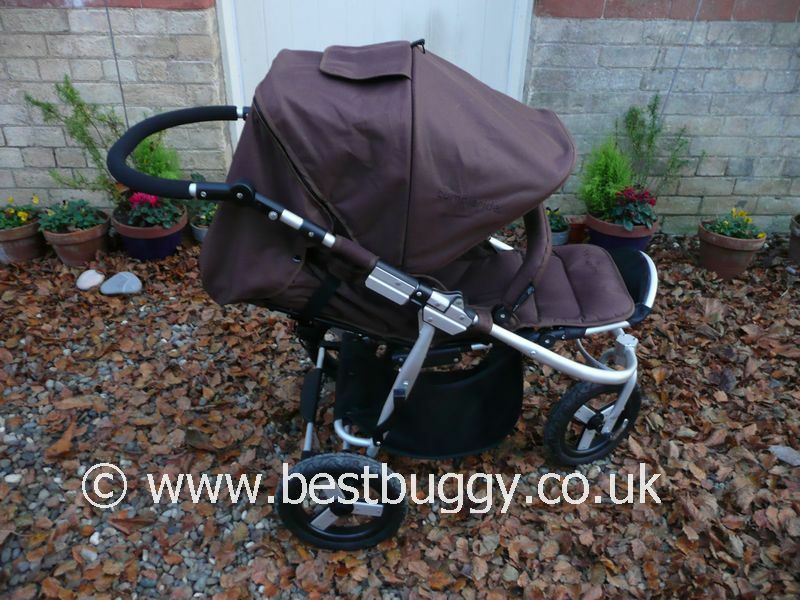 The photos below are of the Bumbleride Indie 3 (brown) and the Indie 4 (aquamarine). 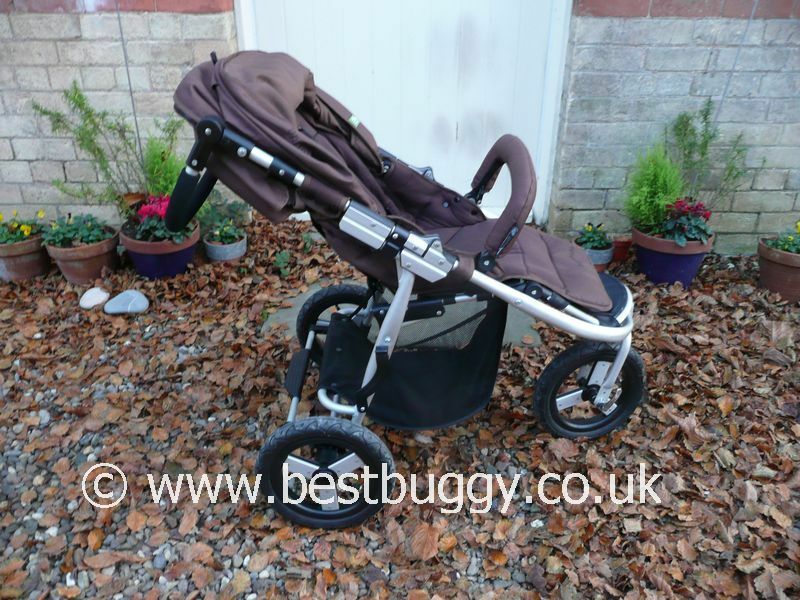 However, there are full photosets of both pushchairs here on Best Buggy. We have given the four and a half star rating to the Bumbleride Indie 4; and a four star rating to the Indie 3.